While looking through my old pictures, I found this little beauty. 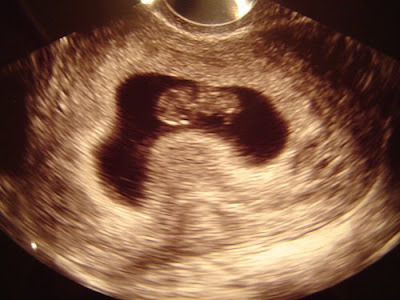 It's our very first ultrasound picture of Carter. It was taken on December 18, 2007.... exactly one year ago today.